Born in Vrededorp, South Africa. Matriculates from Western Native Township High School. Worked as a photojournalist for Drum Magazine, South African publication, until 1963. Honourable Mention in South African Best Picture of the Year Contest. Double page coverage on Sharpeville Funeral in Time Magazine. Worked as a freelance photographer in South Africa until 1966. Worked as a photojournalist for Rand Daily Mail, English morning paper, until 1980. Detained and kept in solitary confinement for 586 days. Magubane was made to stand for 5 days and 5 nights on three bricks of which the middle one was unstable. He was given only black bitter coffee to drink and collapsed on the fifth day. Placed under Banning Orders for 5 years. Magubane was forced to resign from the Rand Daily Mail. Served 6 months in prison for breaking Banning Orders. October, The Orders expired and Magubane resumed employment with the Rand Daily Mail. Magubane covered the Student Uprising as a photographer for the Rand Daily Mail. During the course of the uprising, he was assaulted by the police on many occasions. Subsequently his nose was broken by a police club and he was hospitalised for 5 days. In August this year Magubane was again detained with other black newsmen for 123 days, and his house was burnt down. Worked for Time Magazine until 1988. Held a lecture at The International Centre of Photography, New York, U.S.A.
Freelanced for UNICEF and The High Commissioner of Refugees. The picture Ndebele Woman, is published on the front cover of National Geographic's February Issue. Magubane was shot 17 times below the waist at a student's funeral in Natalspruit. Buckshot still remains in his body. Robert Capa Award New York, U.S.A. Saved the lives of a mother and daughter in Leandra. The son was killed outside their house, chopped to pieces, by an angry mob. He had killed the Leader of the group who was buried that day. Started working as a reelance photojournalist until present day. Official Photographer for Former President Nelson Mandela, until Nelson Mandela became President of South Africa in 1994. 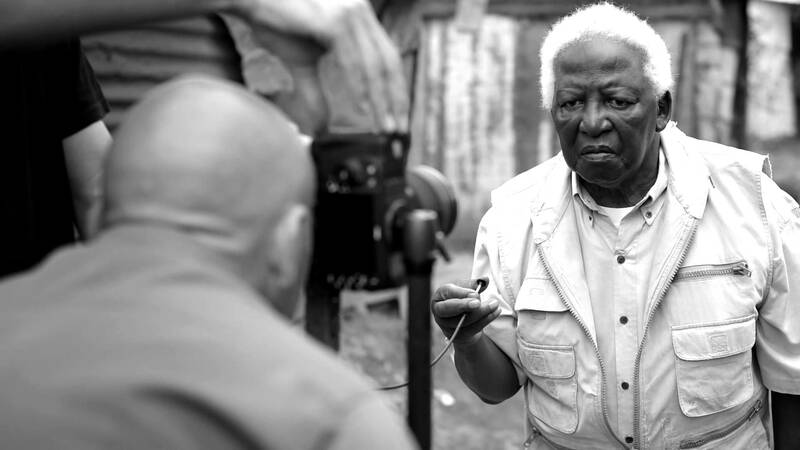 Mother Jones Leica Lifetime Achievement Award Winner (Excellence for a Lifetime Achievement). Order for Meritorious Service Class II from former President Nelson Mandela. Awarded Honorary Doctorate (Degree DLITT ET PHIL Honoris Causa) by the University of South Africa, Pretoria. Awarded Honorary Doctorate (Doctor of Laws (LLD) Honoris Causa) by Rhodes University, Grahamstown. Awarded Honorary Doctorate of Technology, Fort Hare University. Lifetime Achievement Award, Photographic Institute, Bangladesh. Honorary Doctorate from Tshwane University of Technology. Awarded Honorary Fellowship from the Royal Photographic Society, London.